The P10T Full-Rack Dual-Channel Wireless Transmitter from Shure is a wireless transmitter for the PSM 1000 system. It can be used to deliver pristine RF signal and audio quality for professional touring applications when paired with Shure P10R or P10R+ wireless diversity bodypack receivers (sold separately) for live stage and theater events or permanent installations. 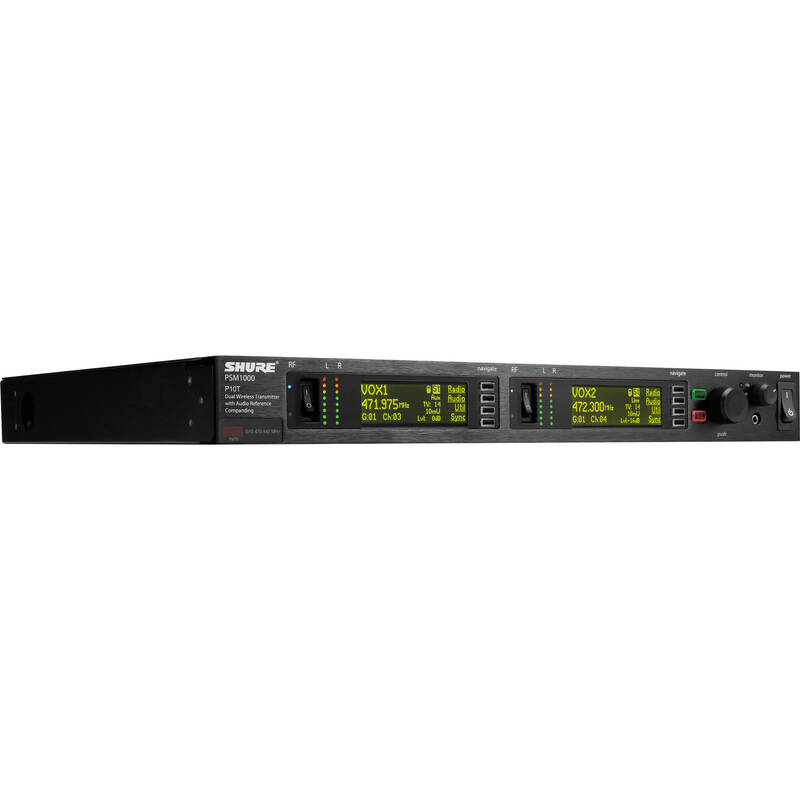 Built with an all-metal chassis, the dual-channel P10T allows for up to 2 programs to be transmitted simultaneously on different frequency channels. The P10T features balanced 1/4" and XLR connections, as well as an 1/8" headphone jack on the front for monitoring. Its 72 MHz bandwidth offers a wide tuning range to provide stable transmission. Other features include: LCD display, RF mute switch, IR scan with P10R bodypack for RF sync, networked remote control via Wireless Workbench software, and PSM900 backwards compatibility. Box Dimensions (LxWxH) 27.6 x 17.7 x 3.74"